The Howard Pinkley Landing was a result of the effort of Howard Pinkley, a predominate member of the Point Place community. 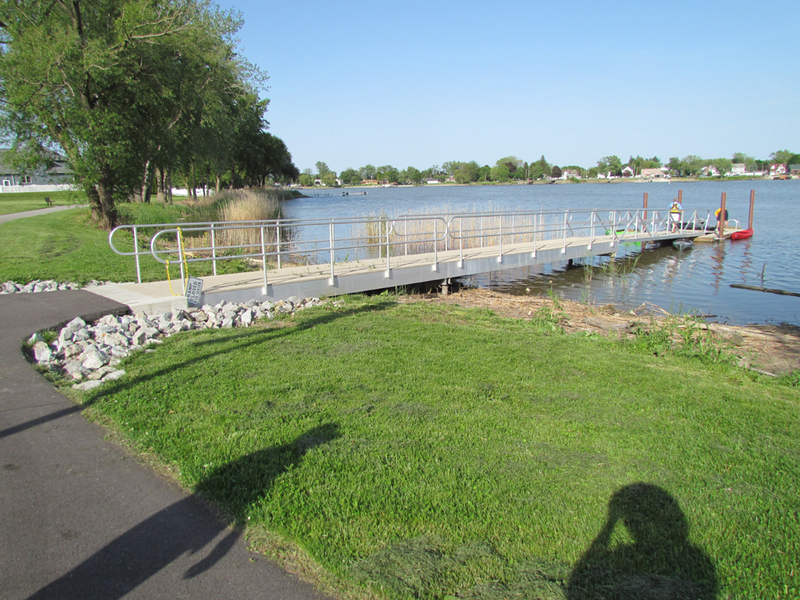 Howard had the vision of using the small but very accessible city park for the non-motorized water craft community. The floating deck is only 8″ above the water line which makes access easier. 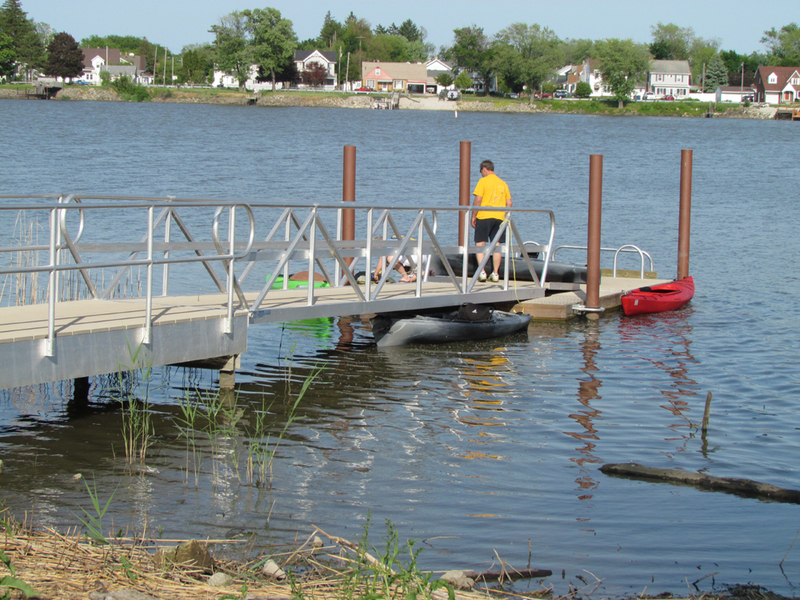 The help rail that extends beyond the floating deck helps to stabilize entry and exit of canoes and kayaks.The dock ramp and deck is also wide enough to be handicap accessible. This is the official launch spot for our regular weekly Tuesday night paddles. Rain date and location is Thursday evenings at Cullen Park (watch Facebook for updates). The landing is located at 2250 Shoreland Avenue, along the Ottawa River between Suder & Summit Avenue in Point Place.